Buttercream frosting is a pretty basic recipe – butter, powdered sugar, vanilla, cream or milk – but mine has always been a little bit blah. Then I ran across this one over at Unsophisticook, and decided to give it a try. It was fabulous, and it’s now my go-to buttercream frosting. 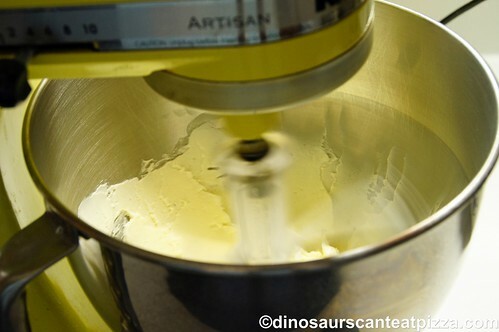 She says that the trick is to use softened salted butter, but I also think it’s important to not turn off the mixer when everything is just combined, and instead let the mixer go until the frosting is light and fluffy. 1 cup (2 sticks) softened salted butter, sifted confectioner’s sugar, pure vanilla extract, heavy cream. I don’t know that making this frosting could be any easier. First, beat your softened butter on med-high speed for about 3 minutes. 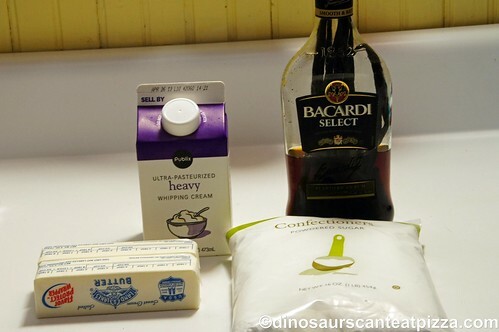 Once the sugar is incorporated, add vanilla extract and 3 T of heavy cream. Beat on med-high for 3 minutes, stopping once or twice to scrape the sides. Frost your cake or cupcakes. Some people do it all fancy-like, but I just prefer to slap the frosting on. As good as this stuff is, who cares what it looks like? It’s going to be gone FAST. Cuisine: Whatever cuisine involves lots of sugar and butter. Southern? Using a paddle beater, beat softened butter on med-high speed for about 3 minutes. Add confectioner's sugar and stir on low until it's incorporated; add vanilla extract and 3 T of heavy cream. Beat on med-high for 3 minutes, stopping to scrape the sides of the bowl once or twice. 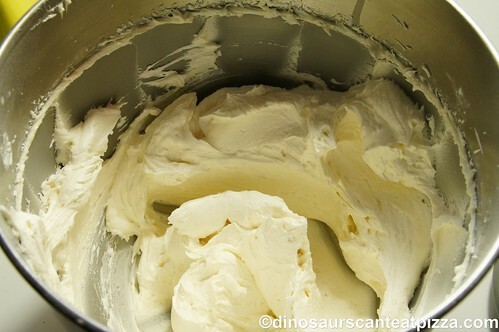 If you prefer a thinner frosting, add additional heavy cream 1 T at a time until desired consistency is reached. This entry was posted in Recipes and tagged buttercream frosting by Robyn. Bookmark the permalink. I am definitely going to try this. When I was young, oh like 35 yrs ago (!) I had great luck with the butter cream recipe on the powdered sugar box-but I seem to have lost the knack over the years. Now when I make the frosting, it always tasted way too buttery. Anyway, glad to have another recipe to try. And it’s even better as it ages, just like the cake! I looooove buttrcream frosting! This could be a bad thing Robyn! Did you see the comments on the original recipe where somebody used flavored coffee creamer instead of heavy cream to change the flavor? The possibilities could be endless! Paula Deen (I think) has a pink lemonade buttercream frosting recipe that we go crazy for. You add frozen pink lemonade concentrate. I could (and have) eat it without any cake. I am going to google that recipe RIGHT NOW. I love pink lemonade!!! Looks great! I was going to make a Texas Sheet Cake, but I think I’ll make this instead! Kath-do you have a Texas sheet cake recipe that you particularly like? I have a couple, but none like the one I used to make years ago. 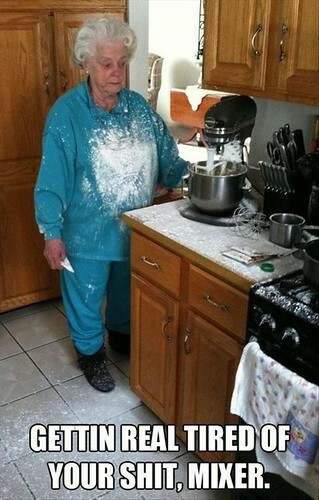 I knew it by heart, lost track of the recipe, didn’t make it for a while-and forgot how to do it. This recipe has Amanda’s Seal of Disapproval all over it. How could you, Robyn? HOW COULD YOU?! ?